Melbourne’s Western Treatment Plant treats 500 megalitres of wastewater a day. It also rivals Kakadu for diversity and abundance of bird life. What lessons might this constructed landscape offer for the management of the planet’s increasingly beleaguered ecosystems? Our diesel four-wheel drive had flushed a flock of birds. From behind a small cluster of bushes, a seemingly endless flow streams skyward, as if from a magician’s hat. 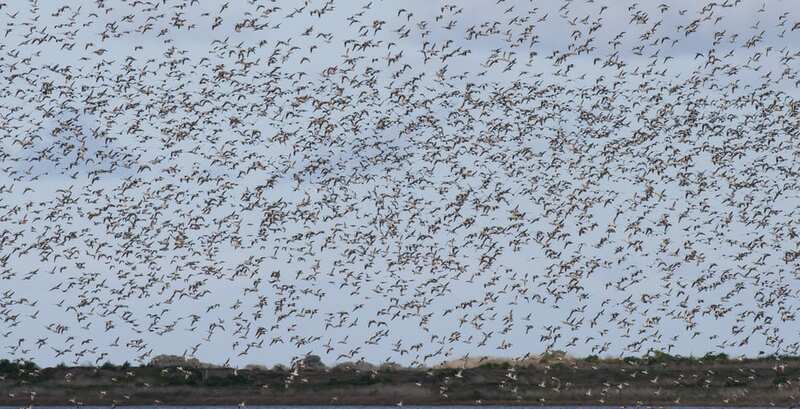 “Probably a few hundred birds there,” says John Barkla, my expert guide for this special morning expedition, as the now fully airborne flock moves across the sky, a cloud of grey backs and white bellies. 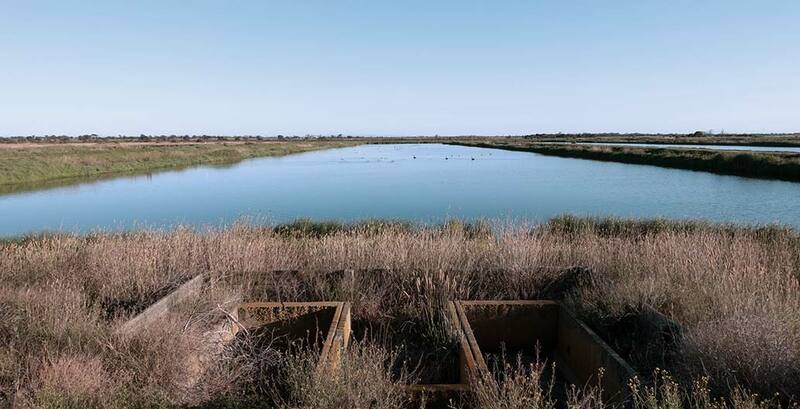 We are deep within what some call Melbourne’s Kakadu – the Western Treatment Plant, a 110 km² sewage facility 30 kilometres west of Melbourne’s central business district, on the coast of Port Phillip Bay. Barkla is one of Australia’s most passionate birders, president of Birdlife Australia and chairman of the Western Treatment Plant Biodiversity Conservation Advisory Committee. He has been visiting the Western Treatment Plant for almost 50 years, and I am quickly learning how to play the game of bird watching – the conventions, the goals and the delights. 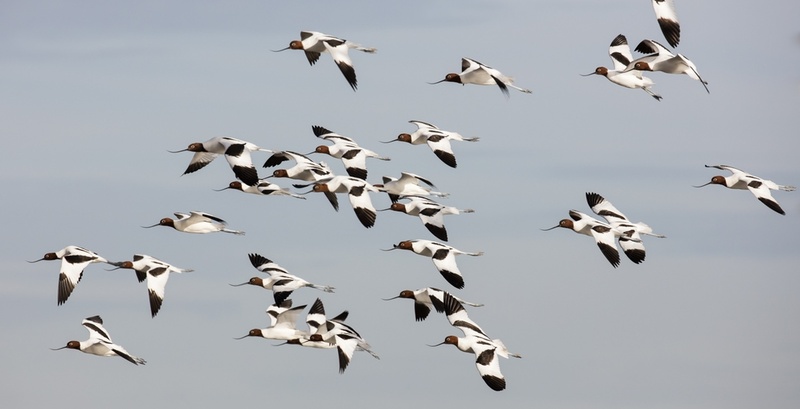 One convention is estimating the number of birds in each flock. Another is naming every bird at sight. It makes for fascinating, but fragmented conversation. Although the bird numbers in the Western Treatment Plant are immense, in many other parts of the country this is no longer the case. They say that before European settlement, Melbourne was home to wetlands, billabongs and creeks, all of which created a landscape of abundant life. For the most part, this abundance has been lost – drained first, paved over later, in a process of urbanisation that took less than 200 years. However, in Melbourne’s west, this wetland fertilised by 120 years of sewage, a landscape closely tied to the same urban expansion thrives. The Western Treatment Plant receives 52% of Melbourne’s sewage, around 500 megalitres or 200 Olympic swimming pools a day. 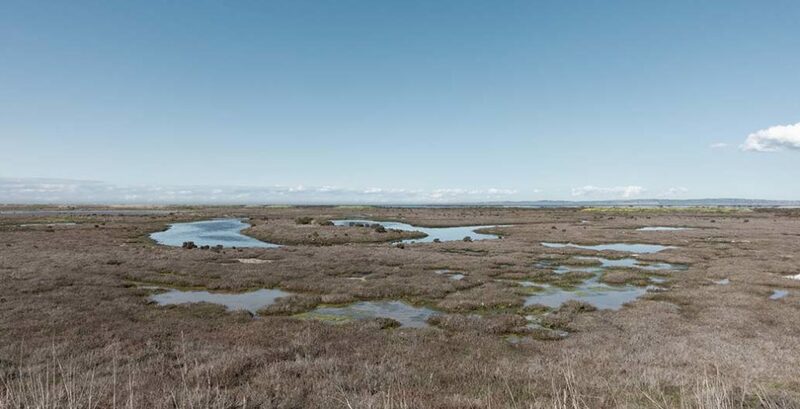 Comprised of sewage treatment lagoons, wetlands and paddocks, it is three times the size of the City of Melbourne and is accessed by three exits along the Princes Freeway. 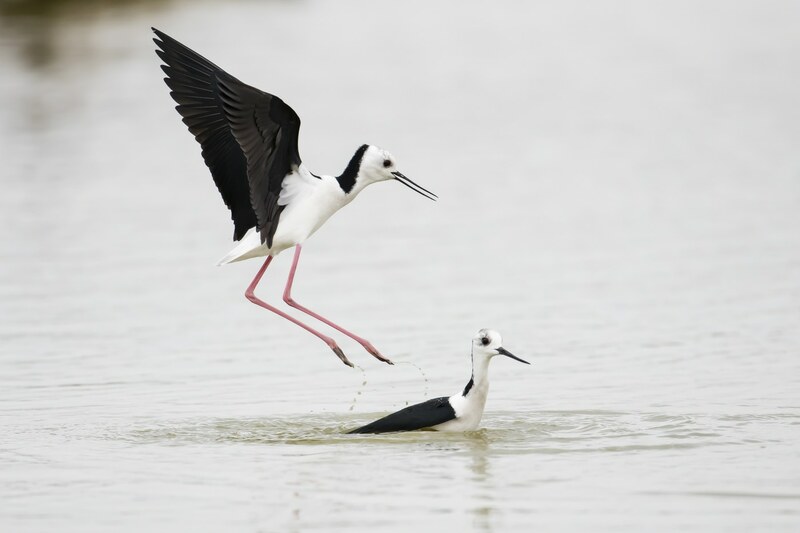 Its comparison to the more popularly renowned Northern Territory National Park, however, is warranted – a similar number of bird species have been recorded at the Western Treatment Plant to Kakadu, and it is listed under the Ramsar Convention on wetlands. 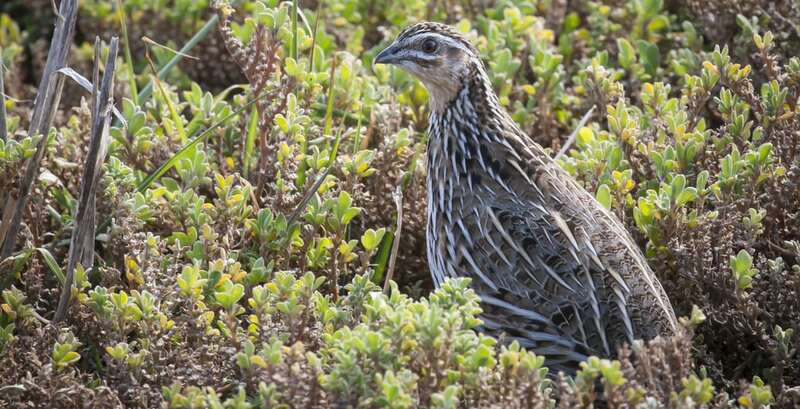 Roughly a third of all Australian bird species have been sighted at the plant and birds flock here from as far away as the Arctic for its permanent and abundant supply of nutrient-rich water. 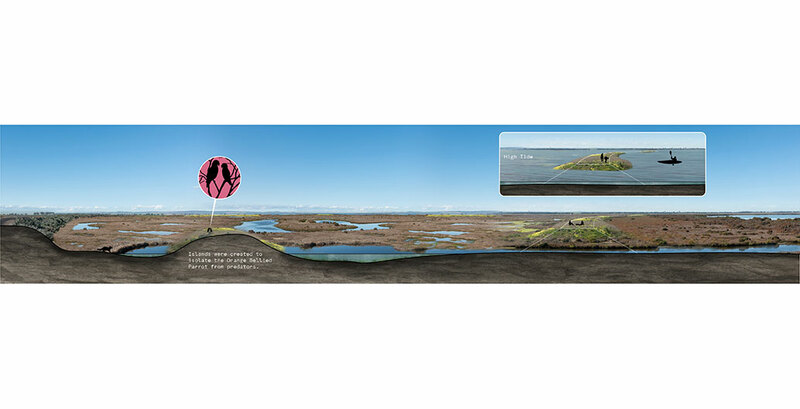 The thriving wetland bird habitat is no longer a by-product of the treatment process. It is there because we protect it. We can challenge our image of nature – our role within it and the values we hold for it. “Melbourne Water has done quite an outstanding job of maintaining this over the last 120 years. It’s not like other wetlands that have good years and bad years. At the Western Treatment Plant it’s always a good year,” Barkla says. It is an ecosystem powered by a city’s waste. At the plant, it is possible to see, smell and hear what happens when engineering, scale and ingenuity align with natural processes. 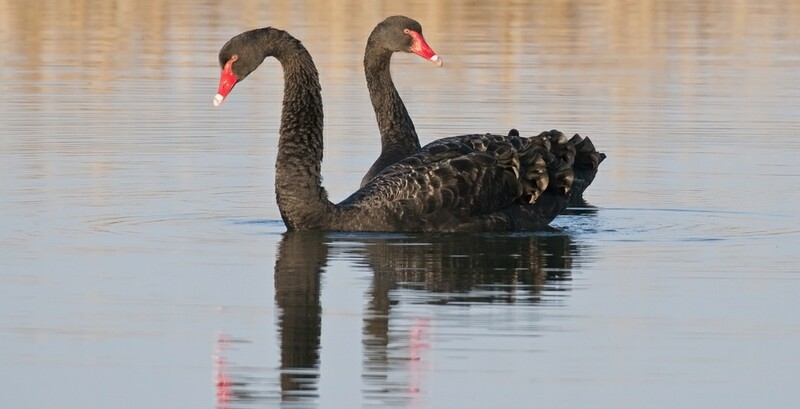 However, behind the banks of swans, gulps of cormorants, rafts of ducks, convocations of eagles and pods of pelicans not everything is so magical. Today, the sewage treatment process can produce recycled water with fewer nutrients than before. 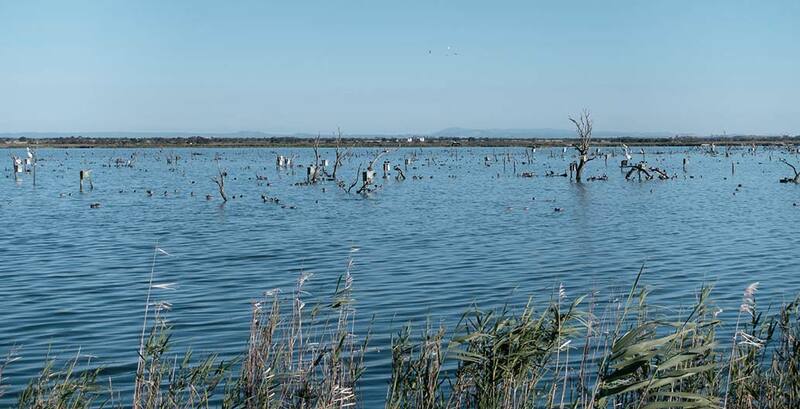 The thriving wetland bird habitat is no longer a by-product of the treatment process by default. It is there because we protect it. It has become a part of Australia’s conservation estate and this brings challenges: identifying and meeting conservation objectives, and securing the resources to do so. However, due to the plant’s constructed nature, it is also a place where conservation can be innovative. We can challenge our image of nature – our role within it and the values we hold for it. This concept was applied on an immense scale in Werribee. During Victoria’s Gold Rush in the 1850s, Melbourne was plumbed into what at the time was the world’s largest artificial reservoir. The Yan Yean reservoir supplied plentiful water to the young city, and with this abundant supply, waste abounded in the streets and creeks. “Marvelous Melbourne” became “Marvelous Smellbourne”. Cholera and typhoid were common. A Royal Commission into Melbourne’s sanitation took place in 1888 and led to the establishment of the Melbourne and Metropolitan Board of Works (MMBW). Its first task was to establish a sewerage system. In the late 19th century, there were three ways to deal with sewage. The first was to release the sewage untreated into a large tidal body of water, much like Sydney’s solution. Port Phillip Bay didn’t offer the volume of water exchange required. The second technology was chemical treatment, followed by waterway release. This involved the use of lime and other chemicals to precipitate out the nutrients. The third solution, the one chosen, was farming. Two treatment farms were suggested in the original design, one farm for the east and one for the west, in Mordialloc and Werribee respectively. At this early stage in Melbourne’s history, the east of the bay had already been established as a retreat for Melbourne’s elite, so Mordialloc was quickly disregarded. The Werribee site is within the traditional lands of the Wathaurung people. 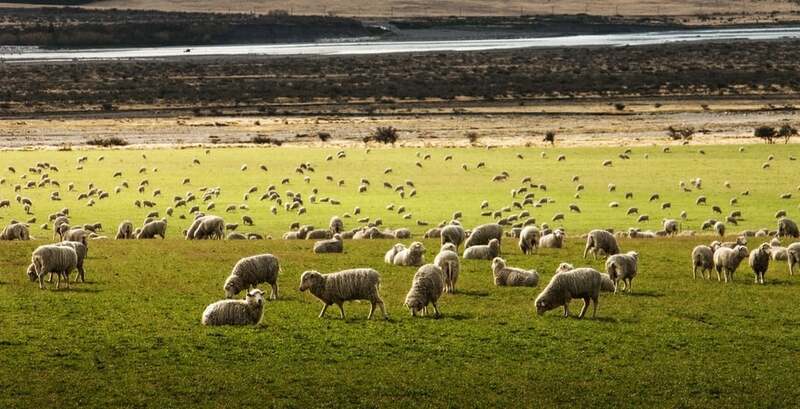 The land had been taken as a part of Batman’s Treaty and used for grazing sheep. The Werribee Farm was commissioned in 1897. Sewage was directed out of the city by gravity via a network of sewers to the Spotswood Pumping Station, now Scienceworks. From there, the sewage was pumped via rising mains to the Main Outfall Sewer, where the sewage was conveyed to the Werribee Farm. Small channels branched off the main sewer and passively led the sewage around the entire farm. For this, the farm was graded and divided into 400-metre by 200-metre paddocks. The paddocks were flooded with raw sewage on a 16-to-18-day cycle. This “humanure” was liquid gold and cattle and sheep grazed the resulting pastures. It was such a successful system that MMBW produced agricultural profits and award-winning cattle. For the first several decades, the farm existed as much to grow food as it did to process sewage. There was another consequence of this treatment method. The paddocks had deep drainage channels that received the effluent once it had filtered through the soil. This nutrient-rich water was released into Port Phillip Bay with astonishing effect. 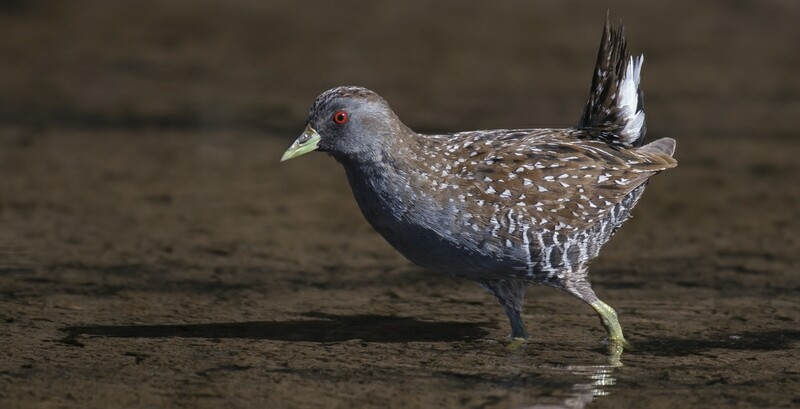 The nutrients fertilised the mudflats and this became the foundation of a food web that, to this day, supports one of Australia’s biggest congregations of shore birds. But the initial soil filtration process was not perfect. During the winter, pastures grew more slowly and the soil became saturated. 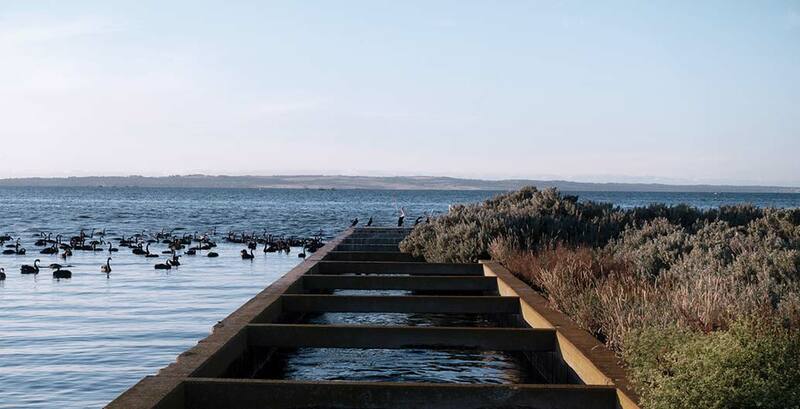 The bay often received under-treated effluent and smells drifted around the Werribee area. The problem was solved first by the use of grass filtration and then later by the development of treatment lagoons. The first lagoons were built in the 1930s and over the next 50 years, dozens more were built. Today, lagoons are the defining feature of the landscape. Their different shapes and sizes tell a story of experimentation and innovation. The oldest lagoons are built where Lake Borrie’s wetlands once were, in organic shapes that follow the original topography. The mid-century lagoons were built on the grid where the increasingly redundant filtration paddocks were sited. Finally, the modern lagoons are deep and rectangular, each one matching the scale of an A380 runway, only here pelicans rather than planes put down their landing gear. Over time, the sewage treatment process gradually separated from farming. In 1992, the Werribee Farm became the Western Treatment Plant and in 2012, Melbourne Water leased the remaining farmland to a private contractor. During the modern era, through a process of mechanisation, optimisation and siloisation, the synergy between sewage treatment and conservation has become less clear. Sewage treatment technology, once so closely tied to the landscape, has become increasingly isolated. It has moved away from passive landscape-based processes to more mechanical and controllable ones. The activated sludge plants, bubbling pools of sewage, do not serendipitously create bird habitat – this must now be created and maintained in its own right. This has created diverse responsibilities that Melbourne Water must now negotiate. In the 1990s, Melbourne Water partly funded an award-winning study of the health of Port Phillip Bay. It determined that one third of all the nitrogen entering the bay came from the Western Treatment Plant, with another third coming from the Yarra River and the final third stemming from all the other waterways expelling into the bay combined. The study found that the bay was in good health and recommended reducing nutrient loads as a precautionary measure. Following this recommendation, Melbourne Water invested in treatment upgrades that both reduced nitrogen in effluent and also enabled the production of high quality recycled water for farms, parks and market gardens. I ask Barkla what would happen if all the sewage was recycled in this way. “In a situation where the water was only being used for commercial purposes, like irrigation of market gardens for example, and there wasn’t any water left over for conservation, that would be a problem,” he says. I put it to Steele that this seems to present a tension between Melbourne Water’s conservation and sewage treatment remits. In response, he reflects on the period of time around 2004 when they stopped treatment in several of the lagoons, including Lake Borrie. Trigger points were hit but he was not confident that a lack of nutrients was to blame. Then there was a breakthrough. Andrew Hamilton, a PhD student at the time, was monitoring the “activity budgets” of birds. Rather than simply counting birds, he recorded the proportion of time that each bird was feeding, sleeping or grooming. 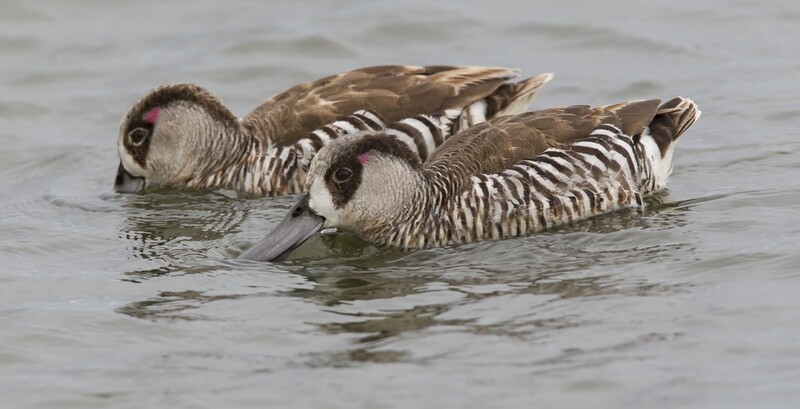 “The proportion of birds on Lake Borrie actively feeding was dropping. And that was a signal to me that we had pulled the nutrients back too far,” Steele says. The story demonstrates the complexity of what Melbourne Water must now manage. Sewage treatment is easy by comparison to ecosystems – managing the interests of both is harder still. There is an inherent paradox to biological conservation: how do you conserve a chaotic, complex system, one that requires change to thrive? 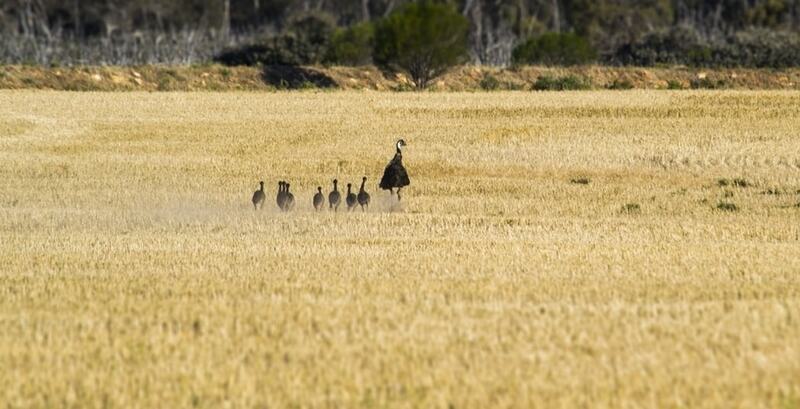 Australia faces this challenge across its entire conservation estate – land put aside to be protected from modernity. Management objectives often revolve around maintaining stability or returning to an imagined pre-colonial condition. But in an era of rapid climate change, introduced species and European landscape management practices, are these realistic objectives? Sewage treatment is easy by comparison to ecosystems – managing the interests of both is harder still. There is an inherent paradox to biological conservation. The Western Treatment Plant offers an opportunity to challenge the norms around biological conservation in Australia. It is a constructed landscape, the product of modernity. A landscape that presents a positive vision for the Anthropocene. It is utterly modified from its pre-colonial state, but we do not need to return it to what it once was, nor put it in a resource-intensive static limbo. Its engineered nature gives us the freedom and flexibility to experiment – to garden. Melbourne Water has started doing just that at a site tucked away in the plant’s west, which Barkla takes me to in the four wheel drive. As we drive down along the coast, I see traces of an old road, which had previously separated the bay from lagoons. Now they are part of the intertidal zone. 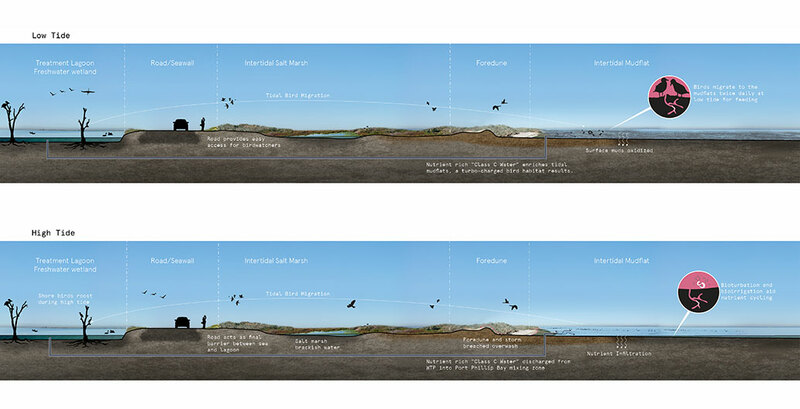 Big slices have been removed from the old road, creating a chain of “barrier islands” and transforming effluent ponds to intertidal salt marsh. This phased project is still in progress. The first lagoon I see was cut in 2016; in the barren white mud you can still see the bulldozer tracks. The next lagoon, cut in 2010, is full of brown, red and grey salt marsh vegetation. Sandpipers wade in small ponds. 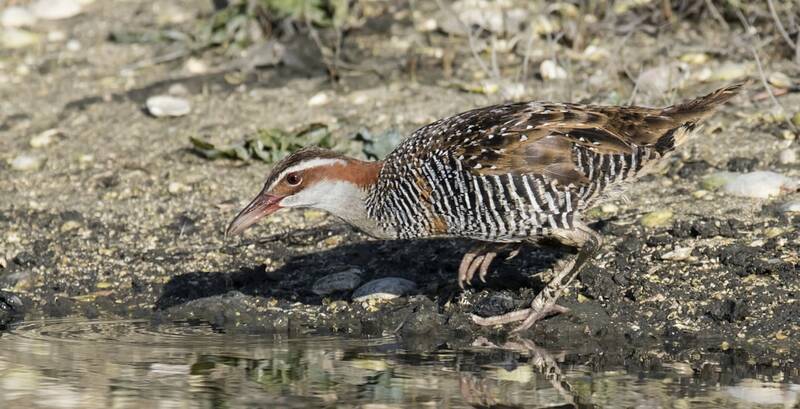 The vegetation hides “several species of skulking crakes and rails”, Barkla assures me. What kind of landscape do we want? The romantic vision of nature depicted in the 18th and 19th centuries remains a potent cultural force. Instagram is full of epic mountains, remote beaches and wild rivers, the humanness of these landscapes conveniently cropped out of view. At the Western Treatment Plant it is impossible to crop out the human hand: the geometric rhythm of the lagoons and linearity of the roads, a patchwork of habitat quadrats each uniquely managed – some optimised for frogs, others for ducks or ibis. Here, the question of what we want is important. Because, what we have is no longer there by natural default, nor required to process our waste, but there by choice. What we have is marvellous, and at risk of inundation. Watkin McLennan is a Melbourne-based landscape architect who recently completed his masters of landscape architecture thesis at the University of Melbourne. 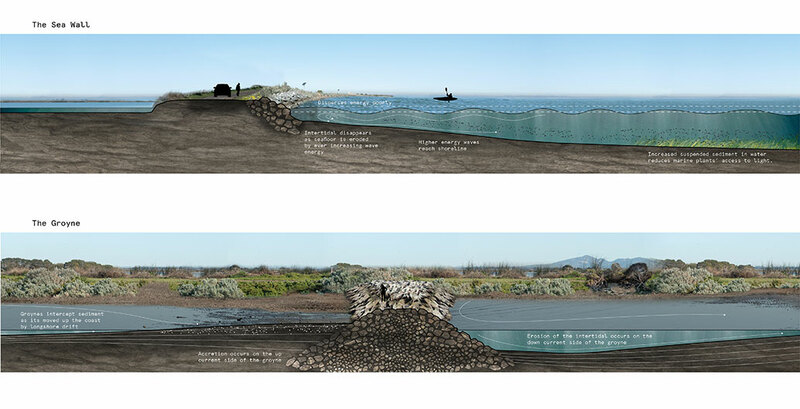 The thesis explored the intertidal landscape of the Western Treatment Plant in the context of sea level rise and the proposed Bay West container port.